Amy Allan has been with SimpsInns for almost three years and has loved every minute of working with the family owned business. Amy was recently awarded the company’s Outstanding Service Award by the SimpsInns management team in recognition of her commitment and amazing customer service. 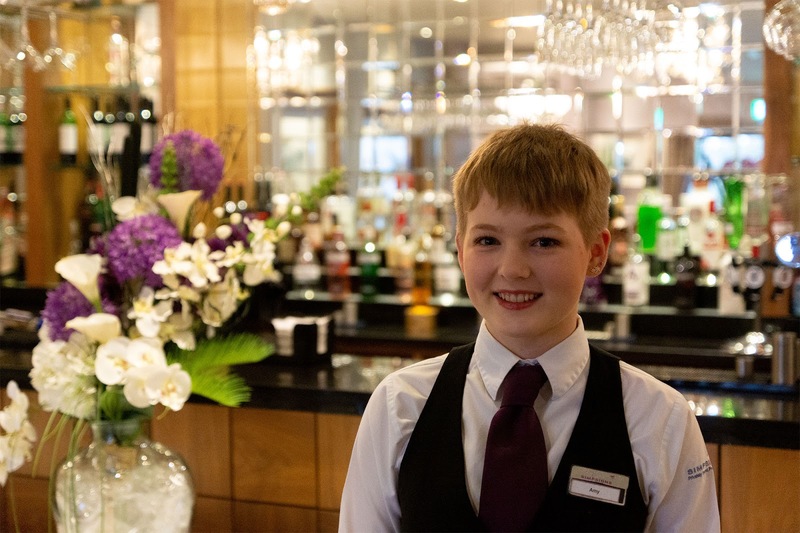 Amy currently works at The Gailes Hotel as part of the C&B team and also works in the restaurant. The success of SimpsInns is down to our team and how they look after our customers. Amy epitomises the ethos of the company and illustrates the values and attention to detail we strive to bring to every customer experience. Please enter the details below to receive a pdf download of our wedding brochure(s).